GAIDEPAC –Group of Academics and Intellectuals in Defense of the Colombian Pacific – is a network of people in Colombia, North America and Europe with particular interest in the realities and challenges that the Black and Indigenous communities face in the region of the Colombian Pacific. We have been following the advances in the dialogues between the Colombian government and the FARC-EP in Havana, with great interest and anticipation. We are concerned however, that a space in the dialogues has not been opened to Black and Indigenous peoples. It is precisely these groups who have been most affected by the internal armed conflict. We are aware that neither of the two parties in the negotiations has replied publicly to the letters and other communications that have been sent directly by national representative organizations. Since 2014, the National Afrocolombian Authority –ANAFRO- and the Afrocolombian National Council for Peace –CONPA-, to name only two of these organizations, have sent various forms of communication, including letters, communiques and messages to the two parties in Havana, in order to ensure that the Afrocolombian and Indigenous people are heard in relation to their rights, perspectives and territories, as well as regarding the pending implications of the peace agreements for these communities in the post-accord period. According to Colombian legal regulation, we consider it essential and logical that ethnic groups have a formal space for participation, one that is comprehensive and differential, in the Havana negotiations, as well as in dialogues that may come to pass between the Government and the ELN – National Liberation Army, particularly as the signing of the accords according to official sources, will take place in approximately 6 weeks. These accords stand to have a significant impact on the lives and territories of these historic communities, who are also subjects of collective rights to autonomy and participation, as well as to the fundamental right to special protection by the Colombian State. Rights for Indigenous and Afrodescendent people established in the Constitution of 1991 include the right to active participation, the right to be consulted on the policies and projects that stand to affect their communities, identity and territories. It is without doubt that the peace accords contain significant content related to the territories and rights of the Afrodescendent and Indigenous people including: zones proposed for campesino reserves and concentration, new commissions and programs related to the substitution of illicit crops in ancestral and ethnic territories, together with the implications for the formalization of property in regions in or near ethnic territories, among many other elements that will have effects on the Afrocolombian community councils and their communities, as well as for Indigenous cabildos and the populations they represent. Despite this, there is sparse mention of community councils and cabildos in the accords, which leaves us to question whether the forms of self-government in ethnic communities stand to be marginalized via the accords and their implementation. If there is a sincere desire to include ethnic communities in the construction of peace in the country, and to ensure a long-lasting peace that reflects the ethnic and cultural diversity of Colombian society as is formulated in the Constitution of the country, there should be no hesitation in extending the invitation, immediately and urgently, to the representative organizations of Afrodescendent and Indigenous peoples. We reiterate our support for the advances in the peace process between the Colombian Government and the FARC-EP, and we sincerely hope that cogent and sustainable agreements are reached, and that these can be implemented in a way that recognizes ethnic authorities and communities as principle actors in the construction of peace in ancestral territories and urban regions of the country. Without the participation of Afrocolombian and Indigenous people, a durable and sustainable peace is not possible. The conditions of marginalization, violence, displacement and poverty, historical discrimination – recognized and persistent -, the concentration of land and lack of meaningful space for political participation, have been the basis of the conflict, and these issues cannot be resolved, denying again the direct and autonomous participation of these groups, denying the rights established in the Colombian Constitution regarding consultation on that which affects ethnic communities, their identities and territories. In order that the agreements have significance for the communities most affected by the conflict, recognition and strengthening of ethnic authorities is necessary, towards the construction of a real and possible peace. With the direct and comprehensive participation of ethnic communities, peace will imply the creation of strategies to counteract the recognized and increasing environmental degradation, resulting from a combination of factors among which, in particular, are the consequences of the armed conflict for the sustaining of an economic model based on extractive development. Peace with ethnic communities will strengthen local economies and the multiple viable alternatives to the problems generated by conflict in these regions. Ethnic participation in the peace negotiations will greatly contribute to the non-repetition of crimes, multiple forms of violence, and exclusion based on racial discrimination, which has so marked the history of Colombia. At the same time, in material terms, armed confrontations, assassinations, and threats to ethnic leaders, have not ceased during the negotiations in Havana. We emphasize and deeply urge both parties to recognize the need to officially invite representatives of the Black and Indigenous peoples, to the negotiating table in Havana, as soon as possible, given the date for signing the agreements is approaching so fast that there is a risk of missing this historic opportunity to ensure the non-repetition of the exclusion based on discrimination against ethnic groups in Colombia. Yellen Aguilar, independiente researcher, PCN. Marlin Mancilla Cajiao, Independente Researcher, Santander de Quilichao, Cauca. Diana Pombo Holguín, Independent Researcher, Oaxaca, México. 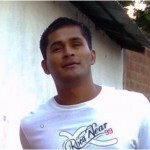 Carlos Rosero, Independent Researcher, PCN. Jhon Anton Sanchez, Researcher and Professor, Instituto de Altos Estudios Nacionales, Quito. Patricia Vargas Sarmiento, Antropologist and historian. Final Declaration at the O.A.S.? The Organization of American States (O.A.S.) Summit, which was held on April 10-11 did not result with a final declaration, due to the United States and Canada -read the "other America"- having helped to quash it! It was the first time that revolutionary Cuba attended since 1962 (when the island was expelled due to the United States’ pressures and colonizing efforts), because of the wave of support and solidarity it received from almost every single Latin American and Caribbean country. To understand why there was no final declaration we should first note that the parallel Summit of the Peoples’ final declaration, which took place two days prior to the O.A.S. Summit, demanded the following.... read more here! LAS ORGANIZACIONES ABAJO FIRMANTES RECHAZAMOS ROTUNDAMENTE LAS DECLARACIONES DEL PRESIDENTE DE LOS ESTADOS UNIDOS DE NORTEAMERICA , SR. BARAK OBAMA , HECHAS EL DIA 9 DE MARZO - 2015 DONDE EXPRESO UNA ABIERTA AMENAZA E INJERENCIA CONTRA LA REPUBLICA BOLIVARIANA DE VENEZUELA AL DECLARAR LA PATRIA DE BOLIVAR COMO "UNA AMENAZA PARA LA SEGURIDAD NACIONAL DE LOS ESTADOS UNIDOS". UNA VEZ MAS EL GOBIERNO DE LOS ESTADOS UNIDOS, EN LA VOZ DE SU PRESIDENTE BARAK OBAMA, ATACA AL LEGITIMO GOBIERNO DE LA REPUBLICA BOLIVARIANA DE VENEZUELA Y A SU PRESIDENTE NICOLAS MADURO, QUIEN FUE ELEGIDO DEMOCRATICAMENTE EN UN PROCESO ELECTORAL AMPLIAMENTE RECONOCIDO COMO LIMPIO Y EJEMPLAR . PROCESO ELECTORAL APEGADO A LA CONSTITUCION VENEZOLANA Y A LAS NORMAS INTERNACIONALES. VENEZUELA BOLIVARIANA HA DEMOSTRADO SU RESPETO A LA DEMOCRACIA Y A LA PAZ REGIONAL E INTERNACIONAL, HA SIDO PROMOTORA DE ACUERDOS DE INTEGRACION REGIONAL PACIFICOS, HUMANISTAS Y DE PROFUNDO DESARROLLO SOCIAL EN BENEFICIO DE MILLONES DE VENEZOLANOS COMO DE MILLONES DE HABITANTES DE LA REGION LATINO AMERICANA Y DEL CARIBE . TODOS ESTOS ACUERDOS HAN SIDO LOGRADOS SOBRE EL RESPETO A LA SOBERANIA DE LAS NACIONES FIRMANTES. VENEZUELA BOLIVARIANA HA DEMOSTRADO REPETIDAMENTE SU CARACTER PACIFISTA Y SU RESPETO A LAS NORMAS DE CONVIVENCIA INTERNACIONAL. POR EL CONTRARIO, EL GOBIERNO DE LOS ESTADOS UNIDOS DE NORTEAMERICA HA COMPROBADO UNA VEZ MAS SU CARACTER AGRESOR Y SU CONSTANTE INJERENCIA CONTRA LA PATRIA DE BOLIVAR, DE ZAMORA Y DEL COMANDANTE ETERNO HUGO CHAVEZ. DESCONOCE LA SOBERANIA, LA INDEPENDENCIA Y LA AUTODETERMINACION DE LOS PUEBLOS, DE LAS NACIONES Y DE LOS GOBIERNOS QUE NO SE DOBLEGAN ANTE SU POLITICA HEGEMONICA. LA RED DE SOLIDARIDAD LATINOAMERICANA Y CARiBEÑA CONDENA Y RECHAZA LA POLITICA INJERENCISTA DE LOS ESTADOS UNIDOS, RECHAZA LAS DECLARACIONES DEL PRESIDENTE OBAMA POR SU CARACTER AGRESOR, POR SU POSICION HEGEMONICA Y POR SU POSICION IMPERIALISTA IRRESPETUOSA DE LA SOBERANIA, LA INDEPENDIENCIA Y LA AUTODETERMINACION DE LAS NACIONES Y POR SU CLARA INTENCION BELICISTA CONTRA VENEZUELA BOLIVARIANA Y SU LEGITIMO GOBIERNO ENCABEZADO POR EL PRESIDENTE NICOLAS MADURO. EXIGIMOS AL GOBIERNO DE LOS ESTADOS UNIDOS RESPETO A LA PAZ, RESPETO A LAS NORMAS INTERNACIONALES DE CONVIVENCIA Y RESPETO A LA SOBERANIA DE LA REPUBLICA BOLIVARIANA DE VENEZUELA. 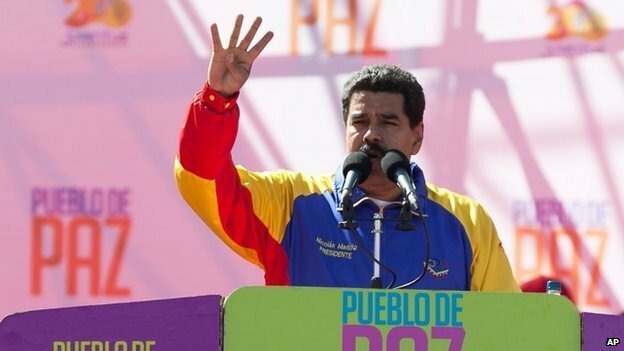 APOYAMOS LAS DECLARACIONES DEL PRESIDENTE NICOLAS MADURO RECHAZANDO LAS AMENAZAS DEL GOBIERNO DE LOS ESTADOS UNIDOS, Y RESPALDAMOS AL GOBIERNO BOLIVARIANO VENEZOLANO, AL PUEBLO VENEZOLANO Y A SUS INSTITUCIONES EN SU DECISION DE NO DEJARSE INTIMIDAR Y EN SU POSTURA DEFENSIVA DEL PROCESO BOLIVARIANO Y LAS CONQUISTAS SOCIALES LOGRADAS HASTA EL PRESENTE. The undersigned, condemn the violence perpetuated by a small sector of the fascist right-wing in different cities across Venezuela in the last days, in an attempt to destabilize the county in a similar fashion as it was done with President Hugo Chávez, on April 2002. We express our solidarity with the families of the victims and the wounded as well as with our Venezuelan brothers and sisters who struggle for peace, sovereignty and social justice. We strongly denounce the plan to undermine and overthrow the Bolivarian Revolution, the legacy of President Hugo Chavez, and the legitimate and constitutional government under President Nicolás Maduro. We support the Venezuelan government’s right to stop violent protestors and to defend the revolution as elected by the people. The Bolivarian process has won more elections than any other government in the world, having won 17 out of the last 18 elections. This is just part of the indisputable democratic and participatory nature of the Bolivarian Revolution that it is supported by the majority of the Venezuelan people. We condemn the well-documented bias in the corporate media that looks to generate support for the most violent and undemocratic elements of Venezuela's opposition by distorting the reality in in the country. This is part of a larger campaign, funded by imperialist governments, mainly by the U.S. and other agents of capital in and outside of Venezuela, who reject the self-determination of Venezuela's people to construct socialism in their country. These sectors are the enemies of Venezuela's people and they seek to exploit and profit from the natural resources of Latin America at any cost, including bloodshed. From Canada we declare our unconditional support for the self-determination of the Venezuelan people and the Bolivarian revolution. Miraflores presidential palace in memory and support to the Bolivarian Revolution. As Liberal Critic for Multiculturalism we note that you have set up a petition to the Conservative Government to have an emergency debate on Venezuela's democracy, "calling for the Canadian Government to support the Venezuelan diaspora's efforts of restoring true democracy to Venezuela". 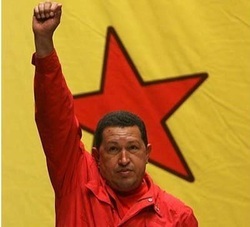 You state that "the people of Venezuela are suffering daily at the hands of Hugo Chavez". You have unfortunately fallen victim to the this small group, supporters of the very the elites who ran the country for 40 years when human rights were violated with impunity and the international community paid no heed to people disappearing, torture and murders, CIA led secret police, and the slaughter by the state forces of 3,000 humble people on the Streets of Caracas in 1989. They all supported the kidnapping of President Hugo Chávez and the coup d'etat that deposed his government in 2002. Coup that lasted 48 hours as the people rose up to demand his re-instatement. It is a sad truth that it is the indigenous and black ancestry of Hugo Chávez is that underlies the anger of these people against him. My community, progressive Latin Americans in Canada, far outnumbers this tiny elite supporters, and we support Venezuela's democracy. We have flourishing organizations that represent us, we have newspapers, electronic newsletters, and community radio programs. We want to know if this is what we can expect of Canada's Foreign Affairs policy toward Latin America if your party were to form the government, because it is willfully ignorant attitudes like this that has led to Canada being excluded from a key and strategic organization, the Community of Latin American and Caribbean States (CELAC) poised to be much more influential than the OAS. Will the Liberal Party continue Harper's antagonism to the progressive democratic governments in the region such as Venezuela, Bolivia, Ecuador, Argentina, Brazil, Nicaragua, Cuba, Uruguay? Does the Liberal Party understand that the democratic government of President Hugo Chavez enjoys the full support even of the neighbouring countries, that do not espouse socialist policies including Colombia, Peru and Mexico? Just last week the government of Panama fired its ambassador to the OAS for slurs to the Venezuelan democratic process. - That the people of Venezuela instead of suffering, are now enjoying for the first time in decades the respect of their human rights, to the extent that Venezuela was elected as a member of the UN Human Rights Council on November 12, 2012, receiving 154 votes, easily exceeding the required 97 votes. Our community will publish a condemnation of your petition and the Liberal Party in all our media resources unless this petition is cancelled as soon as possible. We ask you to reflect and cancel this petition that does not reflect well on your party. We are willing to meet with you any time to place before you solid facts with references, on any aspect of Venezuelan democracy. Across the Americas, Indigenous communities are leading the struggle to protect the earth and resist colonialism. Over the past few weeks, people across Turtle Island have risen up to assert Indigenous sovereignty and to protect the land and water. Idle No More, a coordinated, strategic movement, started by Indigenous women, has been joined by other nations and allies across the country. The movement was sparked by Prime Minister Harper’s lack of consultation with original peoples when his government passed Bill C-45,the omnibus legislation impacting water rights and land rights under the Indian Act. These actions violate basic international human rights standards, such as the United Nations Declaration on the Rights of Indigenous Peoples that require any decisions affecting the rights of Indigenous peoples to be made only with their full participation. 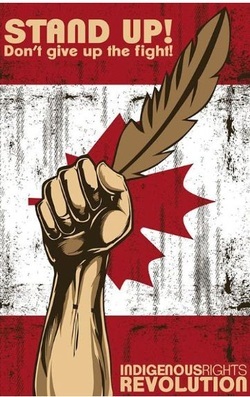 Idle No More seeks to unite all people by calling on them to “join in a revolution which honours and fulfills original people’s sovereignty which protects the land and water. We must repair these violations, live the spirit and intent of the treaty relationship, work towards justice in action, and protect mother earth”. We support Attawapiskat Chief Theresa Spence in her hunger strike and call for the prime minister and governor general to undertake treaty meetings on these issues and commit to a path of recognition and implementation of treaty commitments. We also support Chief Theresa Spence’s call for coordinated solidarity protests across the country to be undertaken by all. En todas las Américas, comunidades indígenas están protagonizando la lucha para proteger la tierra y para resistir el colonialismo. En las últimas semanas, personas a lo largo de Turtle Island (la Isla de la Tortuga) se han levantado para reclamar su soberanía indígena y para proteger la tierra y el agua. Otras naciones y aliados/as del país se han solidarizado a Idle No More (no mas pasividad), un movimiento estratégico y coordinado que fue iniciado por mujeres Indígenas. El movimiento fue desencadenado cuando el primer ministro Stephen Harper se negó a consultar con los pueblos originarios cuando su gobierno ratificaba el acuerdo gubernativo C-45, una ley que impacta a los derechos al agua y la tierra, según la Indian Act (Acta India). Estas acciones violan los estándares básicas internacionales de derechos humanos, como la Declaración de las Naciones Unidas sobre los derechos de los pueblos indígenas que requiere que toda decisión que impacta a los derechos de los pueblos indígenas debe de ser tomada con su completa participación. Los pueblos indígenas siempre han afirmado su soberanía sobre sus tierras, sus sistemas de gobernación, la integridad de sus costumbres y tradiciones, y siempre han sido enfrentados a la violencia o el rechazo total, como es el caso actual de la huelga de hambre de la Lideresa Attawapiskat Theresa Spence. Como LACSN, no vamos a aceptar cualquier acto realizado por el parlamento canadiense o las legislativas provinciales que perpetúan el sistema de colonialismo impuesto en la Isla de la Tortuga, como se ha hecho con la Royal Proclamation Act (1763) y subsiguientes leyes incluyendo el Indian Act (R.S.C. 1985, c.I-5). La Red de Solidaridad Latinoamericana y Caribeña (LACSN) está en solidaridad con la lucha de Idle No More en su búsqueda de la justicia y de la protección a la madre tierra. Estamos profundamente conmovidos/as por la movilización de comunidades indígenas en defensa de la soberanía, la tierra, y el agua. Reconocemos que las luchas y la liberación de nuestras comunidades están intrínsecamente vinculadas a las luchas indígenas. LASCN ha hecho el esfuerzo a exponer las implicaciones negativas de las acciones tomadas por las corporaciones canadienses que displacen a las comunidades indígenas y campesinas en todas las Américas cuando impongan desde arriba por abajo sus mega proyectos de extracción. Muchas veces, estos proyectos causan destrucción ambiental, conflicto comunitario y violaciones a los derechos humanos. Estamos en contra de la complicidad entre el gobierno canadiense y las corporaciones ya que deniegan a consultar a los pueblos originarios y campesinos. También, estamos en contra de la continuación de relaciones coloniales en este continente. Apoyamos a la Lideresa Indígena Attawapiskat Theresa Spence en su huelga de hambre y hacemos el llamado al primer ministro y al fiscal general a realizar reuniones sobre el pacto y comprometerse al camino de reconocimiento e cumplimiento de sus compromisos. También, apoyamos al llamado de la Lideresa Indígena Theresa Spence por la realización de manifestaciones coordinadas en solidaridad en todo el país. Es hora de honrar el espíritu de la Kaswentha, el Cincho de Wampum de dos filas y sus principios de paz, amistad y respeto. ¡Nos sentimos humildes y orgullosos/as de estar en solidaridad con la Resistencia indígena! Mining-Affected Communities and anti-mining activists. According to a statement from the Commission for Solidarity and the Defence of Human Rights (COSYDDHAC), Ismael had been denouncing a smear campaign and threats to his life for weeks. El Cascabel is a closely related entity to Vancouver-based mining company MAG Silver and central player in the development of MAG Silver’s 100% owned Cinco de Mayo mine project. Many members of El Barzon and other movements in the municipality opposed the mine, given concerns about the heavy use of groundwater in this arid region. provide answers to what they are calling a “state crime." Legislators of the PRI in Chihuahua have been criticized in the press for having a cozy relationship with Canadian mining companies operating in the state and acting favorably toward their interests over those of affected communities. channels to address the demands of local residents. We also call upon the Mexican judicial system to carry out a full and impartial investigation into the murder of Ismael Solorio Urrutia and his wife Manuela Martha Solís Contreras so as to ensure that the material and intellectual authors of this crime are brought to justice. mexico.commerce@international.gc.cacopying theInvestor Relations Manager at Mag Silver - Mr. Drew Martel dmartel@magsilver.com and the TSX’s Investor Relations Paul Malcolmson and Shane Quinn shareholder@tsx.com and their Media Relations contact info@tsx.com. Nuestra más profunda indignación por los últimos acontecimientos violentos contra el pueblo Maya K’iche’ en Totonicapán de parte de las fuerzas del Estado tanto policiales como militares. Que el día Jueves 4 de Octubre de 2012, pobladores de los 48 Cantones de Totonicapán, estructura ancestral de los pueblos indígenas, haciendo uso del derecho que la Constitución de Guatemala les otorga, realizaban una manifestación pacífica en el kilómetro 170 de la ruta Interamericana. Que esta protesta la realizaban los pobladores en rechazo a la Reforma Constitucional, la reforma a la carrera magisterial, al incremento al alto costo de la energía eléctrica que el gobierno del General Otto Pérez Molina trata de imponer a toda costa, y en apoyo a los líderes que atendían la reunión con el gobierno en la ciudad capital. Que esta protesta se daba en el marco del encuentro programado en la Casa Presidencial entre los líderes y lideresas de los 48 Cantones con el Presidente Otto Pérez Molina, quien no atendió la reunión y era representado por Miguel Angel Balcárcel asesor Presidencial. Que la respuesta del gobierno central fue la de reprimir esta muestra de descontento popular en la carretea Interamericana utilizando al ejército de Guatemala con el resultado de 8 personas asesinadas, más de 30 personas heridas de bala y otras más intoxicadas por gases lagrimógenos. Nuestra solidaridad con las familias de las víctimas de esta masacre, con el pueblo Maya K’iche’ y el pueblo de Guatemala ante este último acto violento que muestra una vez más el menosprecio y racismo institucionalizado hacia la población indígena. Al Ministerio Público (MP) de Guatemala una investigación exhaustiva de lo ocurrido para iniciar procesos penales a los autores materiales y mandos de Dirección de la Policía Nacional Civil y del Ejército de Guatemala por esta nueva violación de los Derechos Humanos del pueblo Guatemalteco. Al Congreso de la República la derogatoria del Decreto 40-2000 que faculta los patrullajes conjuntos entre policía y ejército, y que se retome el carácter de Ley que tienen los Acuerdos de Paz sobre todo el relacionado al Acuerdo de Fortalecimiento del Poder Civil y Función del Ejército en una Sociedad Democrática. Al gobierno de Guatemala la observancia e implementación de las leyes nacionales y convenios internacionales suscritos y ratificados por el Estado guatemalteco, y en este caso específico los acuerdos sobre el respeto a los Derechos Humanos y los Derecho de los Pueblos Indígenas a ser escuchados y respetadas sus formas de organización ancestral, Acuerdo 169 de la OIT. Al gobierno de Guatemala, autoridades políticas, legislativas, medios de comunicación corporativos y sector privado, el cese del racismo sistémico y la criminalización de la protesta social. Al gobierno de Guatemala, asumir su responsabilidad en este otro ataque contra la población y resarcir a las familias de las víctimas, y el cumplimiento de las tres demandas legítimas que motivaron la movilización el 4 de Octubre. A las Acreditaciones Diplomáticas en Guatemala y a los Gobiernos a nivel internacional a pronunciarse firmemente en contra de esta nueva ola represiva contra la población Maya K’iche’, el pueblo guatemalteco y sus organizaciones representativas. A las organizaciones Internacionales de Derechos Humanos, a las instituciones de verificación de los Derechos Humanos de la ONU, a la CICIG y a la OACNUDH su pronta y eficaz participación en el esclarecimiento de los hechos y su apoyo al Ministerio Público. NO MAS VIOLENCIA Y REPRESION CONTRA EL PUEBLO GUATEMALTECO!!! SI A LA VIDA, AL RESPETO DE LA CULTURA, AL TERRITORIO DE LOS PUEBLOS Y SUS RECURSOS NATURALES!!! POR EL DERECHO A UNA VIDA EN PAZ, DIGNA Y FELIZ!!! Construction, Forestry, Mining and Energy Union of Australia, CFMEU WA branch. Sid Ryan, Presidente de la Federación de Trabajadores de Ontario (Ontario Federation of Labour -OFL) representando un millón de trabajadores del sector público y privado de Canadá. Our deepest outrage due to the latest acts of violence against the Maya K’iche’ people of Totonicapán, perpetrated by the Guatemalan State via its military and police forces. On Thursday October 4th, 2012, inhabitants of the 48 villages of Totonicapán, (48 Cantones de Totonicapán), an ancestral indigenous people’s organization, making use of their constitutional right to demonstrate, were peacefully protesting at Km. 170 on the Inter-American highway. The villagers were protesting against Constitutional reforms, reforms to the education system (teaching degree), and the high increase in the already costly electricity service that the government led by General Otto Pérez Molina is trying to impose by any means possible; and in support of their community leaders that were meeting the government in the capital. This protest was being held simultaneously as the meeting planned in the Presidential Palace between the leaders of the 48 villages and President Otto Pérez Molina, who did not attend but was represented by a presidential adviser, Miguel Ángel Balcarcel. The central government’s response was to repress this act of popular discontent on the Inter-American highway using the Guatemalan army, thus resulting in eight (8) people assassinated, more then thirty (30) with bullet wounds and others intoxicated by tear-gas. Our solidarity with the families of the victims of this massacre, with the Mayan K’iche’ people and the people of Guatemala in view of this latest act of violence that demonstrates once more scorn, indifference and institutionalized racism towards the indigenous population. The Guatemalan Attorney General’s Office thoroughly investigate these events and undertake criminal proceedings against the material authors and the high command of the National Civilian Police and the Guatemalan Army for these Human Rights’ violations against the Guatemalan people. The Guatemalan Congress abolish Bill 40-2000 which authorizes joint patrols between the police and the army, and to reinforce the legal character of the Peace Accords especially in relation with the Accord on Strengthening Civilian Power and the Role of the Army in a Democratic Society. The government of Guatemala respect and implement national laws and international treaties, signed and ratified by the Guatemalan State, specifically agreements to respect Human Rights, as well as the Rights of Indigenous’ Peoples to be heard and their ancestral organizational ways be respected (ILO’s Convention 169). That the government of Guatemala, political and legislative authorities, corporate media and the private sector, stop systemic racism and the criminalization of social protest. The government of Guatemala, assume its responsibility in this latest attack against the population and compensate the victims’ families, and comply to the three legitimate demands that motivated the October 4th demonstration. The diplomatic bodies in Guatemala and governments at the international level, speak out against this new wave of repression against the Maya K’iche’ population, the Guatemalan people and their organizations. To international Human Rights organizations, the UN’s organizations, the CICIG (International Commission against Impunity in Guatemala) and UNHCHR, their timely involvement to shed light on what happened and their support of the Attorney General’s office. NO MORE VIOLENCE AGAINST THE GUATEMALAN PEOPLE!!! YES TO LIFE, TO THE RESPECT OF THE CULTURE, THE PEOPLE’S TERRITORY AND NATURAL RESOURCES!!! FOR THE RIGHT TO A PEACEFUL, DIGNIFIED AND HAPPY LIFE!!! On October 2, 2012 Charles Roach, a leader in the fight against discrimination and racism, for social justice and equality passed away. For decades Charles Roach led rallies and picket lines to defend the downtrodden. Of course we remember his fight to become a Canadian Citizen without swearing the oath to the Queen, which was cut short by his untimely death. We, in the Latin American and Caribbean Solidarity Network, will always remember Charles Roach as a defender of the Bolivarian Revolution and the ALBA process. While we take strength from the example of Charles Roach in our quest for social justice in our communities and against the imperialist order, we feel that in every one of our activities to that end, Charles Roach is Presente! On August 1st 2012, there will be a Continental Day of Action to highlight the exploitive practices of Canada’s extractive industry including oil, gas, mining of precious metals and energy resources. Close to 70 organizations representing impacted communities, labour, students, NGOs, solidarity groups, and environmental organizations in 35 cities across the Americas will conduct coordinated actions. The aim of this campaign is to raise public awareness about the negative impacts of Canada’s extractive industry on indigenous and farming communities both globally and here in Canada. Canada is a global mining giant that leaves a massive ecological footprint on the earth’s surface. Sixty per cent of the world’s exploration and mining companies are listed on the Toronto Stock Exchange. These corporations account for over 3200 projects around the world. Across Canada, on August 1st, there will be letter-writing campaigns to public forums, street protests and theatre. growing and diverse coordinated hemispheric movement to hold the extractive industry accountable for systematic abuses. Increasingly, this industry, which lacks binding legislative regulation and operates under a self-regulated banner of Corporate Social Responsibility (CSR), is contributing to human rights violations, environmental degradation and the tarnishing of Canada's global reputation. Not everyone agrees with Harpers vision of prosperity. 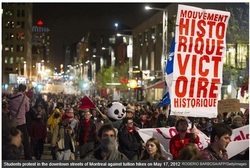 Events and actions are planned across eleven cities in Canada. In Toronto, a carnival-style solidarity event will be held at on the south side of Queens Park on August 1st from 12.00 p.m. to 2.00 p.m. Organizers across Canada will educate people about the injustices of Canada’s extractive industry, the urgent need for legally-binding accountability, an end to abuses and the need to put people before profits. 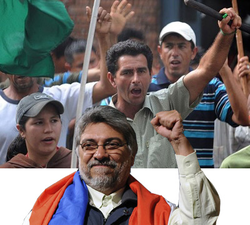 The Latin American and Caribbean Solidarity Network-LACSN would like express its deepest solidarity with the people of Paraguay and its deposed president Fernando Lugo. With less than one year before democratic elections are celebrated in the country, the Senate of the country has voted to impeach its president alleging“poor performance in office.” This vote came after inadequate time was allowed to prepare a proper defense and merely two hours granted to the defense team to present its arguments in a public parliamentary hearing. We believe that such process is illegitimate as it violates basic democratic rights and freedoms as they relate to due process afforded to any person accused of a crime. As such we consider the impeachment of President Fernando Lugo and the subsequent swearing in of Federico Franco an illegitimate act. to pursue their selfish interest. This most recent violation of our nascent democratic process adds to the pattern of coup d’etat attempts in the region (including Haiti, Venezuela, Honduras and Ecuador) and constitutes a slap in the face against entire nations who have placed their trust in the development of democratic institutions. We demand that Paraguayan authorities guarantee the rights and freedoms of those who publicly oppose and criticize the decision of the Paraguayan Senate. that have taken to the streets for close to five consecutive months now. The breakdown came after Education Minister Line Beauchamp barred members of the Coalition de l’Association pour une solidarité syndicale étudiante (CLASSE) from participating in talks. Quebec students have taken to the streets in protest to Premier Jean Charest’s plan to increase tuition by 75% over the next five years. with many in the rest of Canada who feel the same way. Charter of Rights and freedoms, specifically freedom of peaceful assembly. According to internet reports a march is being called for tomorrow in support of striking students in Quebec against Law 78 by Occupy Toronto and others who are answering the call from Quebec to bring the spirit of the student strike to Ontario. The march will coincide with a massive march in Quebec. Changes made to land tenure systems, agricultural support and privatization in the years leading to the North America Free Trade Agreement (NAFTA), as well as the impacts of the trade deal itself, had harsh consequences for Mexicans. These changes led to massive migration North and to Mexican cities, the growth of Narco-criminal gangs, the repression of social movements (like the Zapatistas in Chiapas, the teachers and trade unions in Oaxaca and the Mexican Electrical Workers (SME) in Mexico City), an alarming rate of murders of women (Femicides) along the US border and in the State of Mexico where PRI Presidential Candidate Enrique Peña Nieto was the Governor until recently. 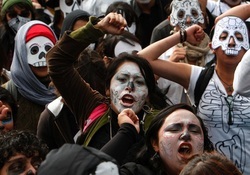 Privatization has dismantled the ocial fabric and communal-land holdings of communities via the privatization of public programs and institutions while Mexico’s NAFTA partners turn a blind eye to the dismantling of the independent labour movement, systematic repression of human rights defenders, journalists, and activists struggling for justice, and family members who seek justice for victims of the violence. Cruz Crisóstomo, Pedro Leyva Domínguez,Eva Alarcón and Marcial Bautista. corruption, leading some to call Mexico a “narco-government” instead of the “democracy in transition” that Mexico is called in Canadian and other media. Under the veil of the drug war declared by President Felipe Calderón, Mexican government forces have continued their repression of the population and not taken steps to improve the situation for Mexicans. Support Amnesty International urgent action requests seeking justice for those that have been murdered or disappeared by sending a letter to Mexico’s Minister of the Interior, with a copy to Canada's Secretary of State for Latin America. which were passed by a community referendum on July 5, 2011 with the support of 96% of ballots cast, and brought into force as Indigenous Law by KI Chief and Council through a Band Council Resolution along with a spiritual ceremony and blessings of the results. The KI Watershed Declaration applies to a vast 13,025 square kilometer area of boreal lakes, rivers, forest, and wetlands in KI Homeland that is over 20 times the size of the City of Toronto, including 661 square kilometer Big Trout Lake. Activities affecting KI’s lands and resources must only proceed with KI’s free, prior and informed consent. The Consultation Protocol sets out how KI consent will be given freely, where KI people are fully informed of the consequences prior to any decisions being made, and according to KI’s own laws and decision-making processes. all animals, all plants and all life. respectKI’s Water Declaration and Consultation Protocol. Homeland, Kitchenuhmaykoosib Aaki, that is at the core of their culture since time before memory. This vast area of boreal lakes, rivers, forests, and wetlands provides KI's pristine water supply, the lake trout the community rely upon, and their sacred landscape. KI has a vision for the future of their lands and environment that benefits both KI and all life. 3. Respecting KI's Indigenous laws. Kanaawayandan d'aaki! Support KI against corporate takeover. The Latin American and Caribbean Solidarity Network (LACSN) stands in solidarity with the Occupy Toronto movement and their right to camp in St James Park. The occupy movement is a legitimate and peaceful manifestation of public assembly and expression protected under section two of the Charter of Rights and Freedoms. The Occupy movement, like other expressions of discontent is a legitimate and deep seated expression of rejection of the current political, economic and social system in Canada, and across the globe; a system that seeks to benefit the few at the expense of the majority. LACSN sees today’s court ruling by Ontario Superior Court Justice David Brown as another form to sanction the systematic criminalization of protest that has taken place in Toronto since the G8/G20 crackdown. The courts along with the police seek to hide from public view a manifestation of discontent, anger and rejection by the 99% but in reality will only fan the embers of discontent. Although they may physically clear out protestors from St. James park and their supporters, they cannot evict the courage and resolve from those that currently inhabit the park. Ideas cannot be evicted from the hearts of women and men who seek a more equitable and just society. Across the Americas, people have risen up and demanded that their voices be heard. On the streets of Bolivia and Honduras, in the rainforest of the Amazon, in the mountains of Chiapas, people are forming real participatory structures to address economic and environmental injustice. Occupy Toronto is part of a global movement in solidarity with these movements in Latin America and around the world, from Cochabamba to Tahir Square to Oakland to Port-au-Prince. The spirit of these movements will not be arrested. C O M U N I C A D O "GRINGO"
Según algunos investigadores la palabra "Gringo" fue acuñada por el pueblo mejicano cuando las tropas de EEUU agreden e invaden México entre 1846 y 1849. Era un grito de desesperación para que los soldados, dejaran el suelo de Zapata. 23 años antes, James Monroe había expresado: " América para los americanos". Hoy Obama, podría decir:" el mundo para los americanos"," el petróleo para los americanos"
Para ello basta agredir y/o invadir cualquier punto del planeta para implementar su política exterior. No importan las victimas inocentes, no importa la destrucción del planeta. Importa cambiar todo para no cambiar nada. Importa un gobierno títere que sirva sus intereses, importa la expansión de las multinacionales, importa el desarrollo de la maquinaria bélica, importa el petróleo. EEUU ha sostenido por décadas gobiernos que hoy no desean. Lanzan misiles para sojuzgar. Invaden con la impunidad de la ONU para justificar la agresion, con la misma desfachatez planean diariamente la desestabilización de Venezuela, Ecuador, Bolivia y Cuba. El principio de No Intervención (en que cada nación se da el gobierno que desee), no existe en el diccionario del gobierno de EEUU. Obama llega hoy a Chile con las manos en el gatillo, ofreciendo plantas nucleares en un país sísmico como Japón, aunque los científicos del país no lo recomienden. Ofreciendo democracia en los países que sustentaron por décadas. Ofreciendo posicionar a Piñera como el líder-títere de la región en reemplazo de Uribe, contra el ALBA, y contra los países bolivarianos. La osadía anti-imperialista de Gadafi unas décadas atrás, le cuesta caro. En 1986, Reagan falla en su asesinato y mueren 2 de sus hijos. Hoy pueden asesinar en el cosmo árabe, miles de civiles como en Irak y en Afganistán en nombre de la democracia y los civiles indefensos, cosa que nunca han respetado. ¿Recuerdan Chile y su dictadura? ¿Recuerdan los barcos de guerra de EEUU en las costas chilenas el 11 de septiembre? Nos invadieron encubiertamente. Como no hubo guerra civil, no desembarcaron los marines. Es que Allende según Nixon y Kissinger no podía ser tolerado, y como Allende era un estadista digno como los lideres bolivarianos de hoy, no se arrodillo ante el amo. Guardando las distanciases ese el destino de los lideres árabes La historia no se repite ni en el tiempo ni en el espacio pero si, sus hechos. Hoy somos testigos de otra embestida imperialista. Los sultanes y los emires del mundo árabe pueden dormir tranquilos porque son afines al gobierno de turno en Washington, los que no, se exponen a la ira y al matonaje militar del imperio. Los pueblos bolivarianos no duermen tranquilos porque deben conjurar la conspiración soterrada de los mismos actores. Chile no duerme tranquilo ante el terror nuclear. Los guardianes tienen las armas para mantener su hegemonía sin balance, pero no tienen la razón. ¿Nos podemos imaginar una agresión a EEUU porque no nos gustan sus líderes? El pueblo de Wisconsin está en las calles protestando por sus derechos, como en Libia, Túnez, Bahrein, Egipto, y Arabia Saudita El gobierno los reprime. ¿Deberíamos entonces formar una alianza, lanzar misiles y agredir a EEUU para evitar la represión a los civiles indefensos y sus trabajadores? No, no lo haremos porque no somos imperialistas, respetamos el principio de No Intervención y no agredimos la soberanía de ningún pueblo. No podemos aceptar que el mundo quede a merced de EEUU. ¡América latina y el resto del mundo para los pueblos! ¡Sí, a la No Intervención! ¡Sí, a la autodeterminación y soberanía de los pueblos! ¡Sí, a la defensa del planeta tierra! Prime Minister Stephen Harper has undertaken a tour through Latin America with stops reportedly including Honduras. The goal according to Harper is “expanding and enhancing market access to create jobs, economic growth, and opportunities for Canadians”. 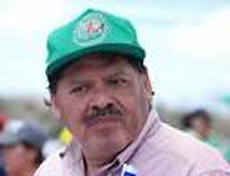 Some believe he will take the opportunity to announce a Free Trade Agreement or significant trade deals between both countries, despite repeated and serious concerns highlighted by both Honduran and International Human Rights organizations. The Harper Government has consistently downplayed and at times even ignored what many believe to be a state organized campaign of intimidation, violence and murder of Human Rights defenders in Honduras since the June 28, 2009 military coup d’état. The coup was painted by its perpetrators as a constitutional succession undertaken by the Supreme Court and National Congress. One could say the Harper government has gone as far as enlisting the support of coup conspirators here in Canada. It’s no coincidence that this week the Department of Foreign Affairs and International Trade along with the International Development Research Centre have invited the Attorney General, Luis Alberto Rubí of Honduras to speak as part of a panel on “Confronting Crime and Impunity in Central America”. Multiple news, academic and diplomatic sources say Rubí was a key figure in the manipulation of the legal system that helped pave the way for the 2009 military coup .Wikileaks and the El Faro declassified cables reports show Rubí was “directly involved in the decision to remove Zelaya and used the “legal apparatus under his control to stifle dissent and intimidate/persecute members of Zelaya’s team”. The Canadian Government supported a Truth and Reconciliation Commission convened by the current Lobo regime in Honduras that issued its final report July 7th. Former Canadian Diplomat Kergin Michael (of law firm Bennet Jones was a member of that Commission. Honduran Human Rights organizations convened a separate Commission of Truth, supported by Honduras and international civil society. Their report is due in November 2011, with York University Osgoode Hall Law School Professor Craig Scott a member of that Commission.